It's rather anticlimactic, here at the end of the NASCAR playoffs, Jimmie Johnson holding such a big lead over Matt Kenseth heading into the final race of the season. Kenseth, so disappointed and so disappointing at Phoenix last weekend, is favored by Las Vegas to win Sunday's Homestead 400. And to have even an outside shot at the Sprint Cup title Kenseth has to win this race and lead the most laps and hope Johnson stumbles badly. 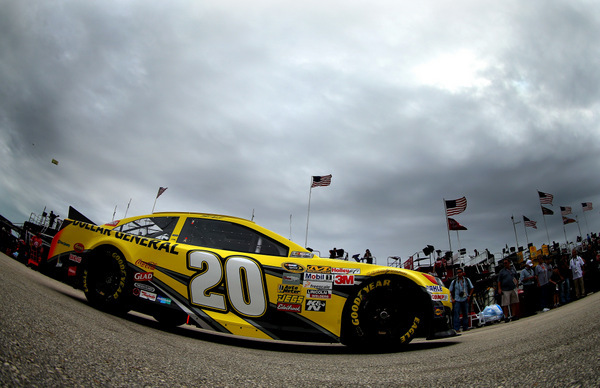 Kenseth Friday night got a head start on that, winning the pole for Sunday's 3 p.m. ET start. Sunset here is 5:30 p.m., and the race should run right at three hours, putting the final hour or so under the lights. Johnson, who qualified seventh, just behind Kevin Harvick, need only to finish 23rd or better to clinch his sixth stock car championship over the last eight years, a run that is beyond dynasty. Consider: over the past 10 years, Johnson has won 60 Cup races, and that's nearly twice as many as anyone else. While Kenseth's Phoenix performance did him in, Johnson's dominating win at Texas two weeks ago was really the key to this title run. 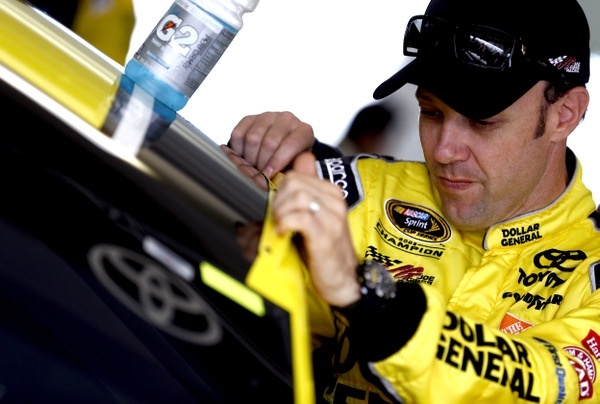 Kenseth's history at Phoenix is mediocre; his history at Texas is great. "Man, it's just hard to put together 10 almost perfect weeks," Kenseth says. "Last week was the first week we didn't perform. There were some other weeks we missed it a little bit but we could still run top-10. "I'm hoping we can put together a really good effort here and finish the season off on a positive note, no matter what happens with the points. Hopefully we can finish it off with if not a win a good top-5, and run good, lead some laps. "Then once they get the rules sorted out for next year I'll be looking forward to next season. We're doing testing in December so I'm already looking forward to that and hopefully sorting some things out." Still, the sting from Phoenix is clear. "Jimmie just raises the bar, and it's hard...." Kenseth says. "He makes it incredibly hard. "It seems like so long ago when we won our championship,10 years or whatever. But there's only been four people that have won one since then. Tony, Jimmie, Kurt and Brad. "It's hard to win races at this level...and I don't know how they do it, but every fall when it's time, somehow they just all of a sudden raise the bar, and they just smoke everybody." And then there is Harvick, only six points behind Kenseth. Harvick, running his last race for car owner Richard Childress, won Phoenix, when Carl Edwards ran out of gas with two miles to go. And Harvick has a great record here. Still, Harvick like Kenseth would need disaster to strike Johnson to change this dynamic. Johnson and Harvick broke into Cup racing about the same time, Harvick fulltime in 2001, Johnson fulltime in 2002. But Johnson is going for No. 6, while Harvick is still looking for No. 1. 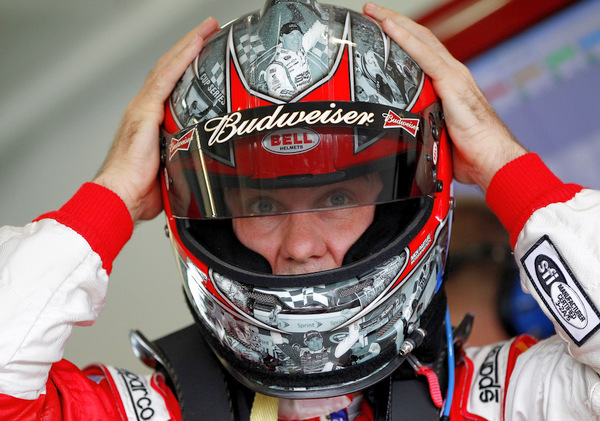 And Harvick is driving for a team owner, Richard Childress, who won six championships with Dale Earnhardt. "We've been close," Harvick says. "The last four years we've won a lot of races. I felt that was our deficit before -- we needed to win more races....and we needed to win more races in the case. "We did that this year. "We've had some great runs at it. We had a great run at it this year. In the end, we've just been lacking that dominant, great 10 races that you need to win the championship nowadays. 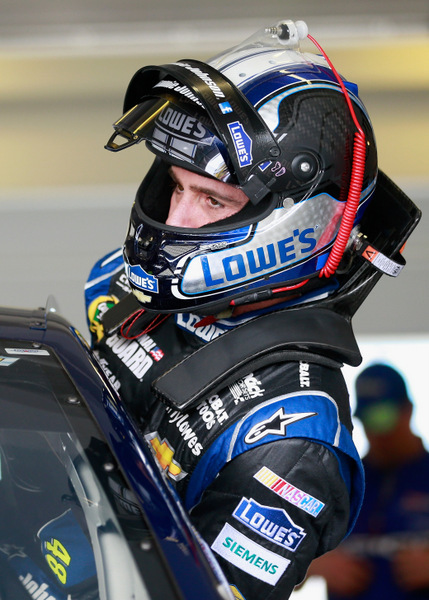 "The good news is in three months we'll be a lot closer to the Jimmie Johnson car than we've ever been to it." 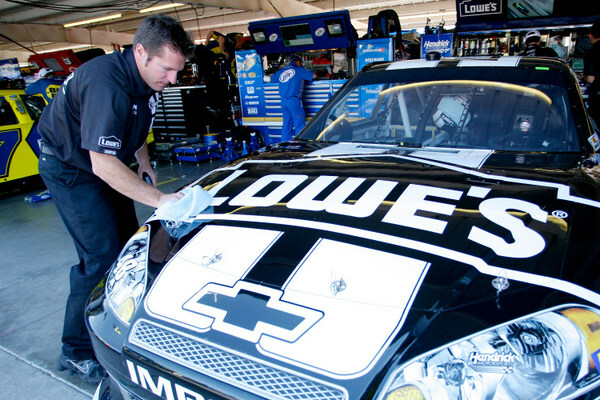 Because new team owner Tony Stewart has a tight engineering relationship with Rick Hendrick. "It's one of the biggest reasons I made a change," Harvick says. "To have some tie to that Hendrick relationship." For Johnson these final three days of the season may past quite fast. He's been here before and knows the routine. "Musicians, especially country musicians, they're big fans of racing. Chris Robinson from the Black Crows is a huge, huge race fan, and I'll hear from him occasionally. "Right now it's awfully quiet. Everybody is afraid to talk to me or text me. "Hopefully I give them a reason to reach out to me on Sunday afternoon." While Knaus gets most of the credit, Johnson points to Ron Malec, his car chief, the team's number two. Malec has worked with Johnson since Johnson first moved from the desert to asphalt. Those long relationships are one reason Johnson has done so well. "Ron and I bonded while living in a tiny apartment in Pewaukee, Wisconsin, and our kitchen table was a plastic table we bought from Lowe's and plastic chairs," Johnson said. "Hamburger Helper was the nice delicacy we would have a couple nights a week. "And we'd just sit there and share dreams about wanting to race, and wanting to race in NASCAR, and be champions in NASCAR, and win races in NASCAR. "That's what really connected Ron and me --- our bond was racing and the passion for racing." It's far too late for head games, Johnson says. sized point lead, and I've been here before," Johnson says. "When you have an opportunity to get somewhere (in a rival's head) is when it's close and tight and you can feel the tension in the room and maybe they don't have as much experience and you think maybe you can try something." That could have been the case last year, with Brad Keselowski, who suddenly found himself in title contention down the stretch. However Kenseth and Harvick have been on the tour far longer than Kes and are thus immune to games. "The three of us, we've been doing this so long there's really just not much we can do," Johnson says. "Besides, the biggest statement always is what you do on the track. And if Kevin and Matt are running up front (Sunday), and I'm having a bad day, that's going to do plenty at that point."